Sometimes the stylist’s ideas of a flattering look for you may not agree with yours. But there are reasons to pay attention to those initial words. A stylist’s vision for you is based on expertise and experience. They are looking at your face shape, bone structure, as well as your hair type and density. 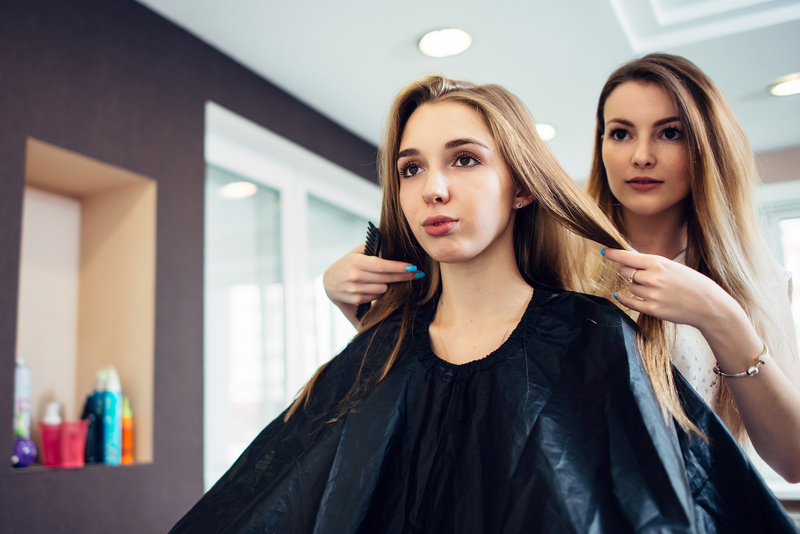 Your part of the conversation is to help the stylist create the best look for you. To do this, he or she needs information about you. What are your profession and personal style? Your stylist wants to work with you to create something you can manage at home and that complements your lifestyle. I would not suggest an edgy or punk style for someone who wears Laura Ashley. An extreme example, for sure, but…you get the point! Collaboration, you see, is the key to a successful hairstyle. If you combine all of these ingredients, chances are that you and your stylist will end up with a shared vision of what looks good on you. Add a comb, scissors, and talent, and you will walk out a very happy person. I see it all the time. Michael Anthony Salon DC is considered by many to be the best in the entire DC metro region. We are passionate about doing hair and work with each and every client to create a look that is right for them. Led by Mickey – aka Michael Anthony – each of our stylists is a highly trained professional. Schedule an appointment and find out for yourself!